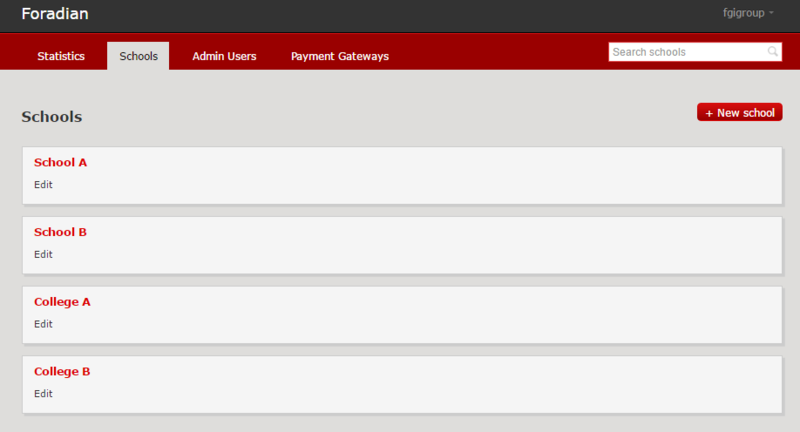 For today, let’s begin with logging in to your accounts panel and creating a group and creating an institution. In our previous blog we discussed the advantages of using school ERP software for your group of institutions. Log-in as an admin to the Fedena accounts panel. You can confirm your institution’s details and the number of licences purchased. 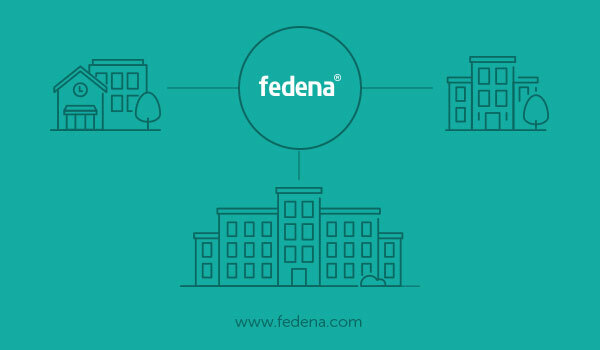 The number of institutions you can create depends on the number of licenses you have purchased for Fedena. If you have purchased 10, you can create 10 institutions and any number of groups. 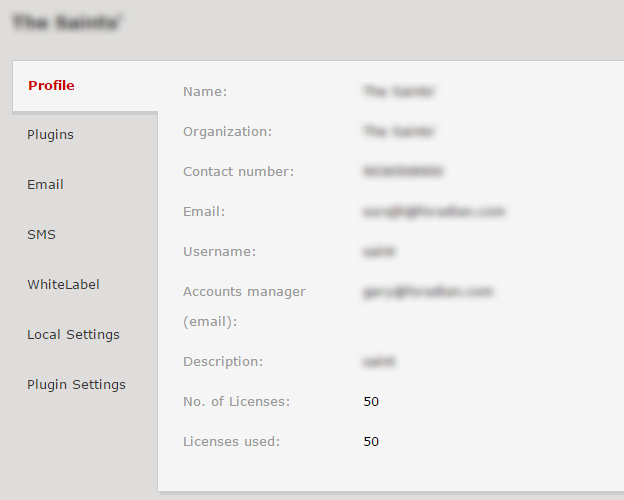 More than one license allows you to create a multi school group with a list of institutions under it. For example : If you have five licenses, you can create a multischool group called ABC Group of Institutions, and assign any number of institutions you desire as long as it doesn’t exceed five. The remaining licenses can remain as independent institutions or another group or can be added to the same group at a later stage. This way you have multiple groups and each group has multiple institutions. To create the group, click on ‘Multischool groups’ option and select ‘New Multischool Group’, as shown below. Enter the details about this group. 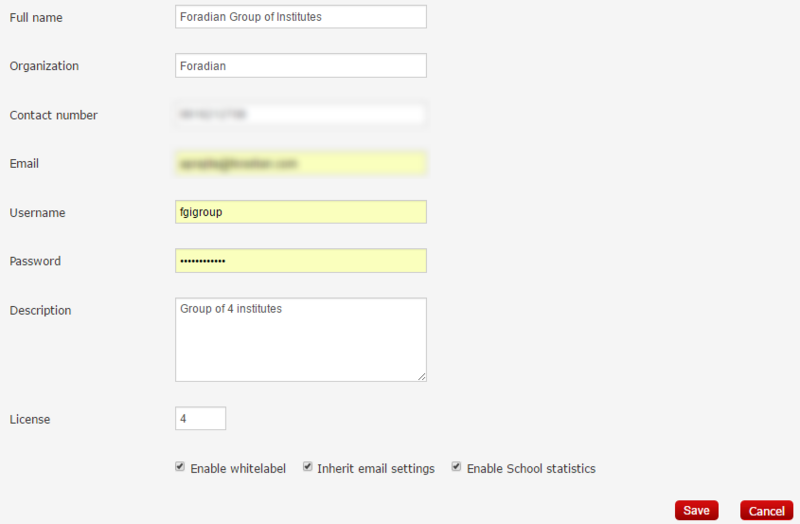 The username and password fields are the credentials to the new Fedena school panel which will be created automatically. The Fedena accounts panel now acts as your multischool admin panel for the group of institutes. The number of institutions which should be a part of this group can be entered in the field ‘License’. After Saving the above settings, the group will be listed under ‘Multischool Groups’ option. To check the details, click on the title of the group. To access the group, check the ‘Domain’ option. A default domain name for this panel will already be assigned. Accessing this domain, you can create institutions (based on the ‘Licence’ field, as entered in the above steps). You can also add a custom domain for this group by creating a cname and pointing the new domain to the server where Fedena is installed. Under the group, multiple institutions can be created. To create these institutions, log-in to the domain of the group using the credentials we just set up while creating the group. Statistics are enabled by default for this panel, manage what you want to see, by clicking on the ‘Manage’ button and the information you need will appear on your dashboard. To create an institution under this group, click the option ‘Schools’ and click on ‘New School’. Enter relevant details in the form. Check that the school code is prefixed to the domain name. This domain name is shown as per the white label settings which we will be seeing later in the series of blogs. 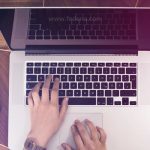 Using this domain, the institution’s users like admins, employees, students and parents will be able to access Fedena The list of plugins shown here are dependent on the assigned plugins for this group. Assign plugins that are required by this institution and don’t forget to save before you exit this menu. 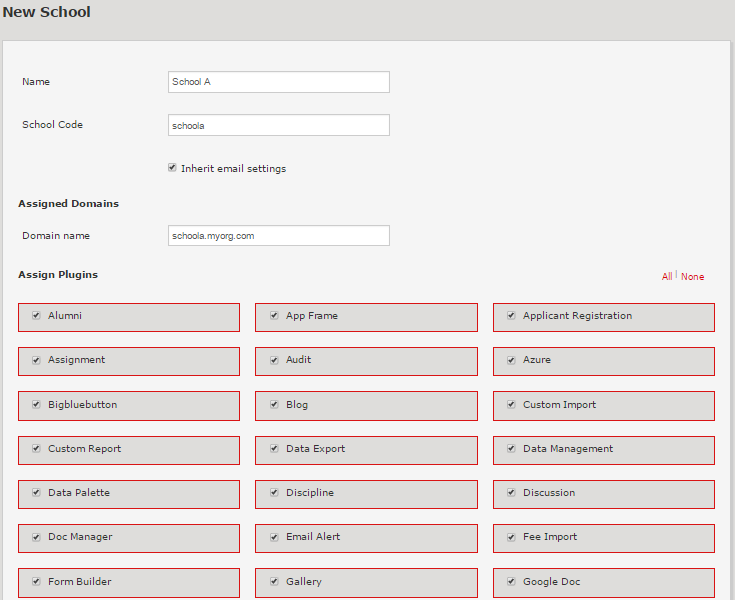 The institution created will now appear under the ‘Schools’ option on the dashboard. To view/edit the details, click on the School’s title. You can assign payment gateways to this school by checking the option ‘Gateways’. If email settings are not inherited, the same can be entered under ‘Email’ option which we cover in our next blog. To create another institution, just follow the above procedure to create multiple institutions and all of them will be listed under the ‘Schools’ tab in your group dashboard. In the image below, the multischool group has 4 organizations – 2 schools and 2 colleges. This should help you get started with setting up your group of institutions. The advantage of using Fedena as a multi-school platform is to have all your data in one place with actionable insights into your finances, resources as well as important institution metrics. Previous PostPrevious Fedena Chat Support is here! Next PostNext Biometric Integration with School ERP Software – To keep track with minimum effort.